The early engine building industry in Leeds shifted about a mile from where it had first begun, in Holbeck, to the already industrialised Hunslet area in 1837. Charles Todd, apprentice to the railway industry’s founding father, Matthew Murray, set up the Todd, Kitson & Laird partnership. A new works in Hunslet was built and orders were received, beginning with Lion for the Liverpool & Manchester Railway. The seeds were sown for a successful engine building company but the partnership didn’t last long and two new firms were formed. The story of Kitson is covered separately in the Kitson article, this page is about what Todd did next. Todd brought in a new partner, John Shepherd Jr and the partnership with Kitson and Laird was dissolved. 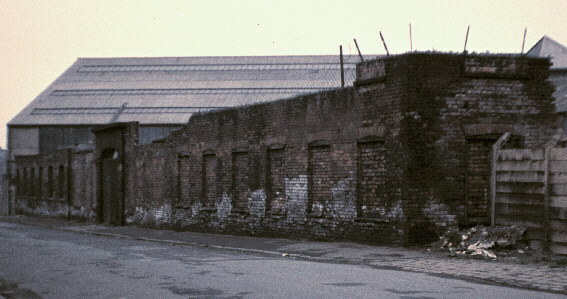 The new company "Shepherd & Todd" kept the Railway Foundry name and the two new firms began operating on either side of Pearson Street, Hunslet. A number of locomotive builders would be established in this area of Leeds. 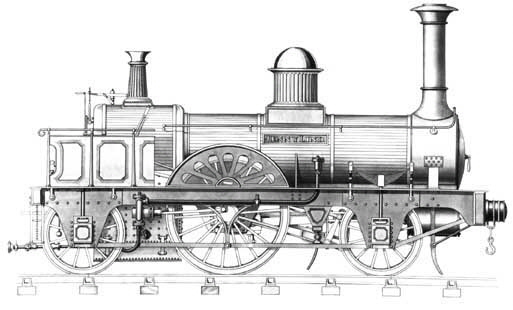 Early orders included three 0-4-2s produced for the Liverpool & Manchester Railway, a follow on from the order for Lion. It seems that there was confusion at the time among the previous customers as the two firms both claimed to be the ‘successors’ of Todd, Kitson & Laird. Legal notices in the papers suggest that all debts of the old company were to be settled and Shepherd and Todd were to continue the Railway Foundry without Kitson & Laird. Orders were soon received for the Leeds & Selby Railway, Hudson’s York & North Midland as well as a couple of locomotives exported to the Paris & Orleans Railway. The picture above shows ‘the Quadrangle’ this building was used by a few of the engine making firms over the years. It is speculated that this was the first engine works in Hunslet where Lion was built. This can’t be verified, however maps of 1846 do show that this building was the Railway Foundry. Around this time the firm were building a new works nearby on what would eventually become the Hunslet Engine Co’s works, part of which can be seen in the background. Once replaced by a more substantial works the condition of this old works building deteriorated over the years and little was left by 1969 when this picture was taken by Sheila Bye. Only the arch and a small piece of wall survive now. The firm would always have close ties with the Round Foundry in Holbeck and there doesn’t appear to have been much of a rivalry between the two companies. 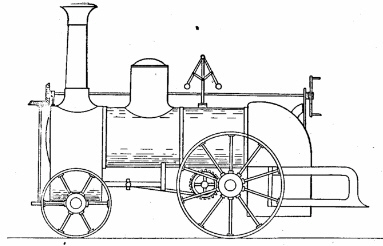 However in 1840, with both firms supplying the Hull & Selby Railway, it would seem that an almost inevitable engine trial comparing the two firms’ locomotives hit a raw nerve. It was primarily to test the Railway Foundry’s use of Grey’s valve gear. Engine trials were popular at the time as many new manufacturers wanted to prove their designs and innovations and many railway companies wanted to ensure it invested wisely in its engines. The trials were reported in the Leeds Mercury. Grey’s patent valve gear, fitted to the Shepherd & Todd locomotives did indeed make the engines much more efficient. Matthew Murray Jackson of the Round Foundry naturally wasn’t happy at the negative press his engines had attracted. He wrote to the Leeds Mercury to point out that his slightly older engines, built as ordered to a design previously employed on the Leeds & Selby Railway, where at a technological disadvantage rather than being of inferior construction. "A cricket match was played on Monday last between the Railway Foundry and the Airedale Foundry cricket clubs, on the Woodhouse-hill ground, Hunslet. The Railway Foundry men were the winners, with ten wickets to fall." The firm attracted a number of experienced personnel from the Round Foundry, when the old Holbeck firm folded in 1843 apprentice David Joy moved to the Hunslet company. In 1846 he completed his apprentiship and got a berth as a draughtsman. Within months he was chief draughtsman. This was a key ‘signing’ in the company’s development, having studied the developing engine designs across the country and spent much of his time observing various engines in operation he produced some particularly good designs of his own. Charles Todd left the Railway Foundry in 1844 and set up another firm, the Sun Foundry (covered in a separate article). A couple of other managers attempted to fill his shoes with little success as Joy records in his diary. "June 1844 - Mr. Todd came suddenly in to bid us good bye, leaving Mr. Shepherd sole master. He soon brought a manager, Mr. Buckle, who had a son whom we christened "Little Bottle," and we used to fight him. Buckle did not know a word about locomotives, and was always talking about the big marine engines he had had to do with in Russia, but he gave us a temporary taste for marine engines." After a brief spell under another manager, whose name Joy couldn't even remember, Edward Brown Wilson, of Hull’s famous family of shipping magnates was brought in that November. By the 1900s Hull’s Wilson Line had become the largest private ship owning company in the world. Following Todd’s departure there was quite a period of instability, though at the same time the orders were coming in and it was also a period of great expansion. There were just 40 staff in 1844, three years later there were 400. Despite the success they were seeing there were a number of changes amongst the management in this period. Wilson only stayed for a year, it is not certain why he departed, possibly to do with family business back in Hull. His departure wouldn't be permenant but it did result in yet another 'name on the door' of the Railway Foundry. James Fenton of Fenton, Murray & Jackson took his place, James Fenton being the son of Matthew Murray’s business partner. The name of Fenton, Craven & Co was adopted, though not for long as this partnership also failed to last more than a year. Wilson returned and in partnership with Fenton the firm continued under the E.B.Wilson name once more. Joy's diaries describe a couple of occasions when he turned up to work in the morning to find the works under new management. The use of standard designs was a great benefit, Britain was going through the ‘Railway Mania’ and everyone with enough capital wanted to get in on the action and build a railway line. This meant many businessmen needed to get their hands on new engines quickly. At the Railway Foundry they could be bought ‘off the shelf’. The use of standard designs also made the works very efficient, at times when the works may have been quiet the workforce could be set to producing parts for standard designs which could be put in to stock and used at busier times, or even complete locomotives could be built to stock. Customers wanting something non-standard had to pay over the odds for it. This encouraged them to buy the standard designs. The standard designs pretty much sold themselves. There were many engines based on the Jenny Lind, though the design was progressively altered and the engines became larger as time went by. Also, particularly popular were the 0-6-0 goods engines and the 0-6-0 and 0-4-0 saddle tank engines. 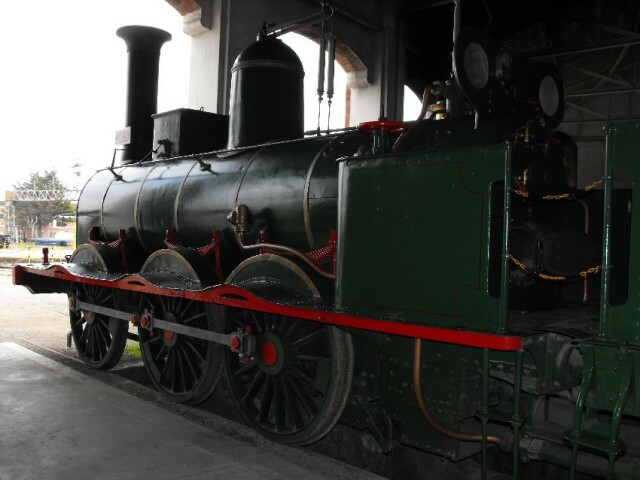 Railways were also being established all over the world and the company exported many of these engines. A very unusual engine was displayed by the Railway Foundry in the 1851 Great Exhibition, as described in the Leeds Mercury on the 12th April that year. There had been quite a disagreement between Joy and Wilson over their design for the Great Exhibition engine. It seems that in the end the company took a bit of a gamble on this new design. Prior to the Great Exhibition trials were arranged on the Leeds & Bradford Railway, comparing this new design with one of their Jennys. "…As to the construction, it is a combination of several novel arrangements, having two separate boilers with internal fire-boxes. It is a tanck engine, carrying its own coke and water, thus dispensing with a tender. The advantage arising from the substitution of the two separate boilers and fire-boxes are increased safety for high-pressures, lightness, and by alternate firing, the generation of steam is more constant; one fire being in full force while fuel is being added to the other, thus economising the consumption of coke…"
This unusual design seems to have remained obscure, whereas across the road the people at Kitson’s won a gold medal for the more conventional tank engine design they displayed. The company became involved in road locomotive design and in collaboration with Willis, designer for Ransome & May (later Ransomes Sims & Jefferies), a prototype was produced.The Willis’s Road Locomotive was a one off, however, within a short time of its construction, John Fowler had demonstrated how successfully similar engines could be applied to farming. Having close ties to Kitson, Fowler’s own works would end up being established across the road from the Railway Foundry, this story is of course covered in the John Fowler article. The Willis’s Road Locomotive was not the only Railway Foundry product with the absence of a flanged railway wheel. Stationary engines were produced. The works plate at the top of this page is from a stationary engine used in a railway workshop in India. 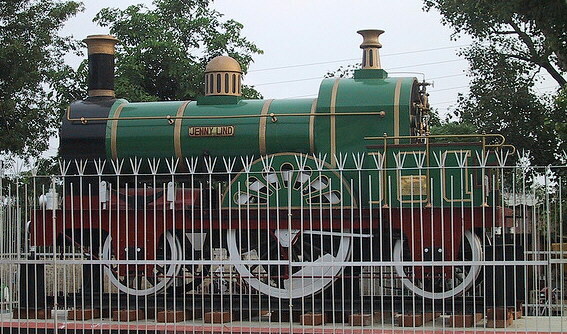 This engine no longer survives but apparently a replica has been built for instructional purposes, if anyone knows anything about this I'd love to hear more about it! The Railway Foundry produced some engines for steam ships. The Hull Packet of 12th September 1856 describes an engine having been demonstrated at the Leeds works in front of a government inspector and other scientific persons. Despite being so far in land the Leeds engine builders were occasionally involved in shipping. As far back as 1811 Matthew Murray had tested a steam ship on the canal near his works and in to the 1950s J&H McLaren was producing diesel engines for ships. In this instance the engine was due to be forwarded to Hull and fitted to a steamship constructed there. However the Leeds Mercury on the 18th September reports a fatal accident killing one worker instantly and with one later dying of his injuries. The workers were "…engaged at a traverse crane lifting a marine engine (upon the locomotive principle) to a wherry, for the purpose of removal from the yard. The crane is, it is stated, capable of a straight lift of twenty tons, and the engine did not exceed nine tons; but owing to the lift being an oblique one, the beam gave way, and fell a distance of 18 to 20 feet, smashing to atoms everything in its way…"
At the inquest a verdict of accidental death was recorded, it being believed that the chains snatching led to the accident. "…The Government have decided to send out another locomotive engine of a make suitable for the heavy gradients on the above line…"
Though this could mean Alliance wasn’t the first military locomotive after all it may have been the first to be armoured as the same report describes her as having been rebuilt despite being a new engine and makes note of her "iron sides." "…The engine which leaves here for Southampton to-day has had a thorough renovation and repainted at the Railway Foundry. 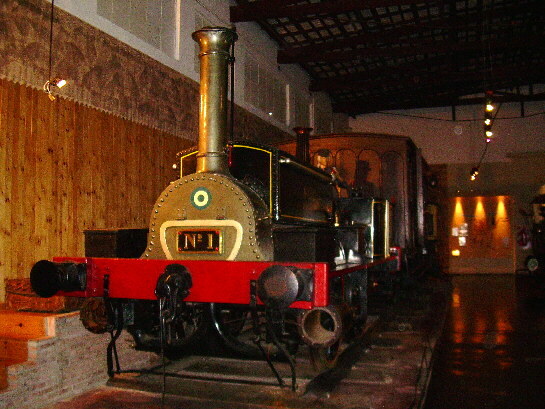 Her "iron sides" are adorned with the English, French, Sardinian, and Turkish war flags, conspicuously painted thereon, and she is called the "Alliance"…"
The Balaklava Railway ran much more effectively with its more suitable locomotive and another engine of the same design was soon despatched there. Over the years large amounts of land were purchased around their old Quadrangle building and the works had become the largest railway workshop in the world. Clearly it was intended that the works would becoming bigger still though, however trouble amongst its shareholders would prevent this. Relations between the works management and the firm’s shareholders fell apart and E.B.Wilson left the company. He would go on to work for a number of railway companies advising them on their locomotive requirements. David Joy followed a similar path and left the Railway Foundry to go freelance. Alexander Campbell took Wilson’s place, however he took over knowing full well that the problem with the shareholders was far from resolved, Campbell began working on plan B. Land was purchased alongside the Railway Foundry and a works established with partners J Manning and C.W.Wardle. Initially it was set up as a general engineering facility but the works was just waiting for the end to come at the Railway Foundry next door. The end did come and the Railway Foundry’s affairs were the subject of a Chancery case. The company was wound up in 1858, its designs, orders and goodwill were taken over by Manning, Wardle & Co. Most of the engines Manning Wardle built were based on the designs of E.B.Wilson’s Railway Foundry and it says a lot about the firm’s designs that engines clearly based on them were still being built into the 1930s. A century after the works had closed a few examples of tank engines based on the old E.B.Wilson designs still lingered on in industry. Attempts to sell off the Railway Foundry failed and the land was divided in to separate lots. Over the next five years these would be bought by engine making firms Hudswell, Clarke, J&H McLaren and the Hunslet Engine Company. Hudswell Clarke adopted the Railway Foundry name for its works, a good idea from a marketing point of view as the Railway Foundry had established a great reputation world-wide for the engines it built. The new Railway Foundry was however a completely new works and is covered it its own article. With over 150 years since the demise of E.B.Wilson there isn't a great deal left of them, just two and a bit engines. Most of the engines they built should be in our database however this has been largely put together from the records of the early railway companies and there may still be a few engines sent to smaller customers to track down. With thanks to Sheila Bye for her research in to the early days of the Leeds engine building industry. This article was produced by Kris Ward, any feedback or contributions about the Leeds engine making industry would be greatly appreciated.